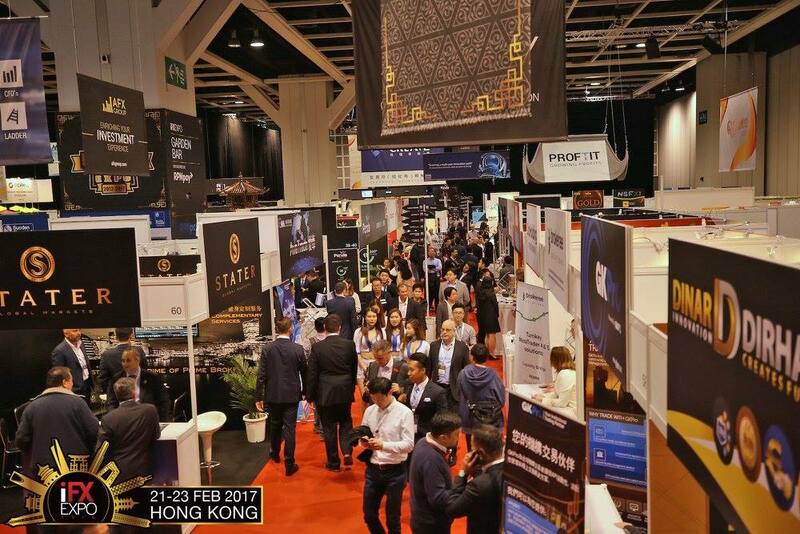 What Did We Learn at the iFX EXPO ASIA 2017 in Hong Kong? Sharing insights and observations from walking the halls of the event and meeting the participants. Last week’s iFX EXPO ASIA was the most successful such event I have witnessed so far. A lot of new people from around the world joined with familiar faces to talk about all the burning topics of the online trading and finance world. I had the pleasure this time to host four different panels and I also sat down for the rest of the six panels as well as two keynote speeches. All of these were captured on video and we will report on them when the material is made public so you can catch up on anything you might have missed. For now, I just wanted to share some of my initial insights from listening to the expert speakers, as well as observations from walking the halls of the event and meeting the participants. I would also like to invite you to comment and share your experiences below. The biggest news to break during the 3-day event was the upheaval at FXCM Inc (now Global Brokerage). Some of us joked that they must have timed their announcement exactly for the welcome party to make sure as many industry people as possible will be out of the loop. In general I have to say I was surprised from the level of good faith the company still enjoys with most FX players. Everyone said they never had any negative experience dealing with the American firm and hoped it can recover and rebuild its reputation. The possible new limitations on brokers operating from Israel also made some waves. Among Israelis I mostly felt acquiescence and acceptance that all the binary options call centers will need to shut down and for the firms to leave Israel sooner rather than later. For outsiders, I mostly had to explain how it is that the Israeli regulators are not even taking into consideration the thousands of people that will lose their jobs as a result. A very positive trend I noticed was the expansion of the industry to new frontiers, primarily South East Asia. Operators from Indonesia, Thailand, Vietnam and more were represented in impressive numbers compared with the past. Beyond that I saw that many are excited about our upcoming event in Shanghai and not a small number of people even came over to ask when we will get to Singapore or Japan again. The most surprising panel in terms of audience response was, for me, the one about regulations in China. The topic of regulations never sounds very exciting and lawyers are generally not expected to be captivating speakers – nevertheless when I looked at the crowd mid show I could see that people were lining up the hall standing for an hour to listen and ask a question. Hours after the session ended I saw the panellists still answering people’s questions. I guess this just confirms the importance of the Chinese market and how foreign it is for many to understand without such an opportunity. Lastly, I want to tell you what I learned about Bitcoin and Blockchain, two subjects I focus on a daily basis. While everyone in the online trading industry is now familiar with or even understands the ideas behind blockchain technology, and many are actively exploring incorporating it, they have yet to see a killer app emerge in the field. As for cryptocurrencies, there were a lot more signs of adoption by the industry with some brokers and payment providers specifically highlighting their support for Bitcoin. The most fascinating anecdote I heard is how bitcoin became so popular in China. During our marketing panel, Gatecoin’s Thomas Glucksmann shared that unlike the geeks that inhabit most cryptocurrency events, in China the audience is more common and the speakers act more like evangelizing preachers at a religious awakening event. 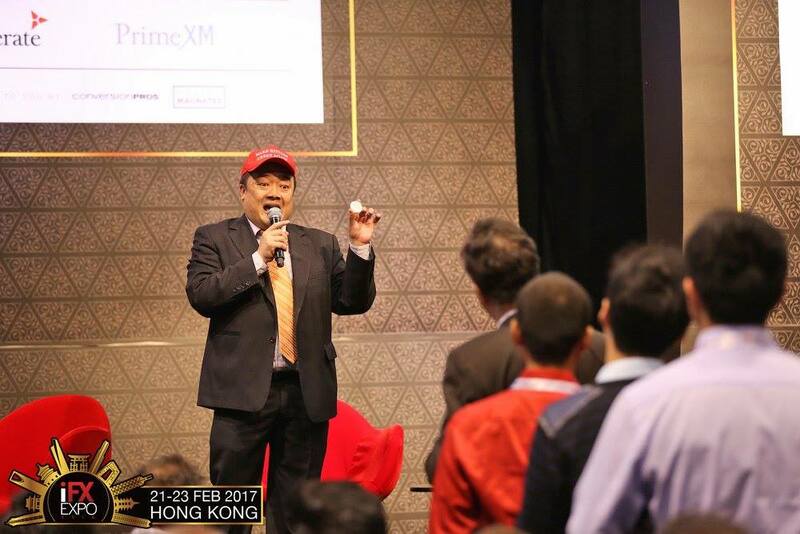 We got a live demonstration a few hours later when Bobby Lee, the CEO of BTCC and one of the people most responsible for the success of the phenomenon in China, gave his keynote address in a Make Bitcoin Great Again hat and got the audience to shout how much they love money while rushing to install his wallet. Hallelujah. Please remember to share your thoughts in the comments section and if you want to see all the photos from the event check out this facebook page.